Manchester United‘s players arrived for training on Tuesday morning with Paul Pogba‘s future at Old Trafford in doubt. 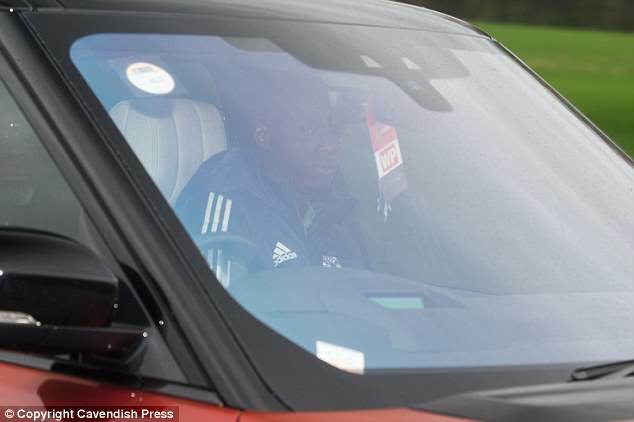 And the France international kept his head down as he arrived at their Carrington training ground. It is understood that Pogba will be allowed to leave the club in the summer. Juan Mata also journeyed to the training ground as United prepare to take on Bournemouth on Wednesday night, bringing his girlfriend Evelina with him. Mourinho, who had a stern expression on his face as he arrived, has decided he is willing to let the £89million midfielder leave in the summer. The Portuguese manager has run out of patience with the club’s record signing and has included Pogba on a list of players who can be sold as he attempts to close the gap on new champions Manchester City. The prospect of Pogba leaving Old Trafford two years after returning to the club has moved a step closer since Pep Guardiola revealed 11 days ago that the player was offered to City in January. Pogba’s relationship with Mourinho has deteriorated rapidly this season and the 25-year-old was substituted again in Sunday’s home defeat by West Brom. The Frenchman has been left on the bench or taken off in seven of his last 11 games. It is not what United envisaged after re-signing their former academy player from Juventus in the summer of 2016, and Old Trafford chief Ed Woodward will be reluctant to part with such a marquee figure so quickly. But Pogba has struggled to fit into Mourinho’s system at United and has not produced enough performances like his man-of-the-match display in the Manchester derby. Pogba may also be left out of the starting line-up for Wednesday evening’s game against Bournemouth as a result. 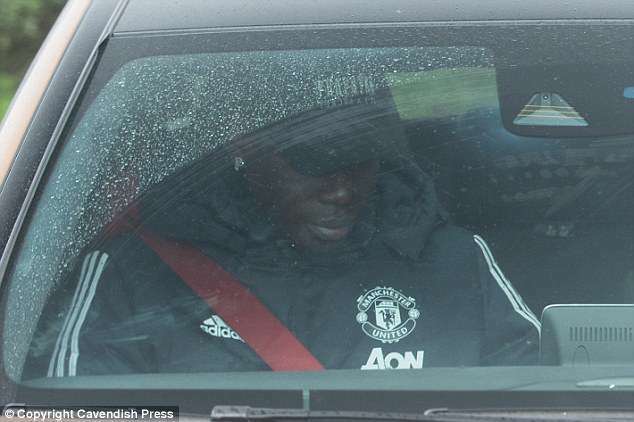 He was not the only big name photographed driving into the training ground as United prepare for that game. 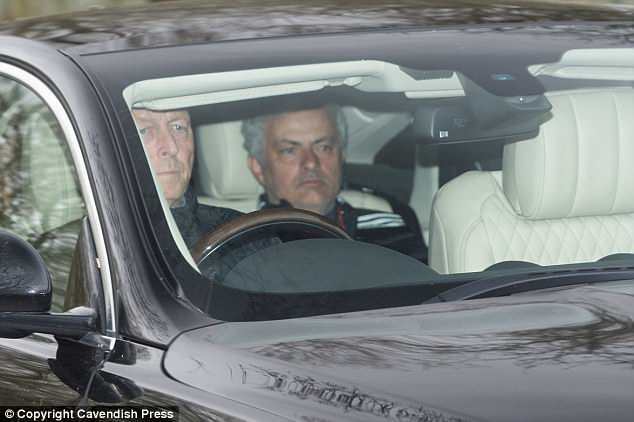 Mata brought girlfriend Evelina in his car, and she drove it away from Carrington after dropping him off. 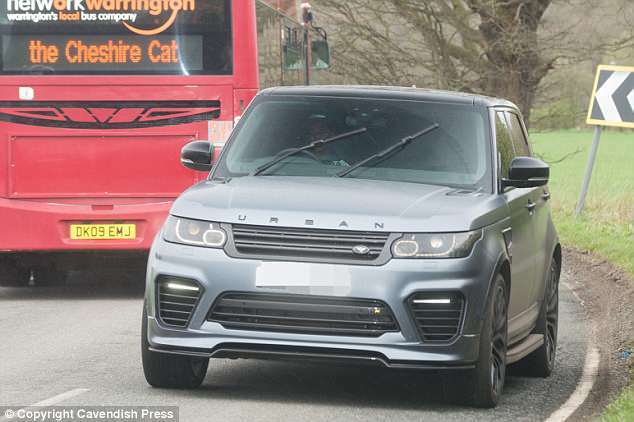 Luke Shaw showed off a new ‘wrapped’ Range Rover, while Jesse Lingard drove a black Bentley. Eric Bailly was in his red Range Rover as Marcus Rashford opted for a silver variation. David de Gea and Ander Herrera arrived at training together in an Audi. Chilean forward Alexis Sanchez, who has struggled with form recently, was in a white Range Rover. Victor Lindelof was behind the wheel of a Mercedes as he arrived at Carrington on Tuesday. 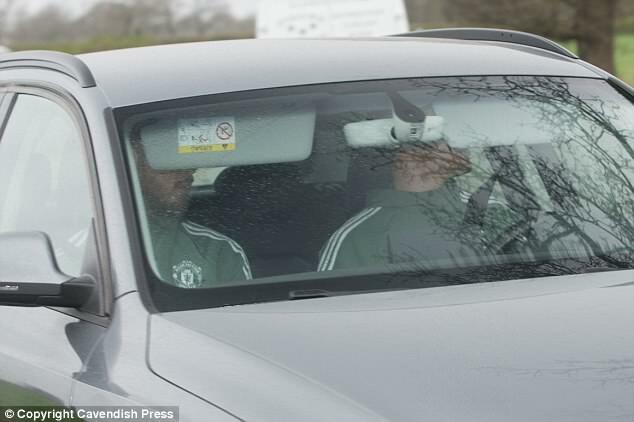 But Antonio Valencia had to be chauffeured into the training ground ahead of the session.